When it comes to big sporting events, there are many things to look forward to buy you want to see the best players compete at the highest level. Truly great sportsmen and women manage to dominate big events and showcase their skills in the best possible manner. This is often what separates the real stars from the good players and in the 2017 FIBA EuroBasket tournament, there are a number of teams who have players who look likely to light up the event. No matter who Spain select to represent them at this tournament, you know that they are going to have a big impact. Given that the Spanish side won this event two years ago, they are going to take it seriously and look to defend it properly. However, with so many great players, and many players looking to protect their club career, there may be some maneuvering with the Spanish squad before the final roster is provided. As an example, Nikola Mirotic has already ruled himself out of the summer tournament. This is because the player now finds himself a free agent in the NBA, having moved on from the Chicago Bulls, so you can understand that he has other things to focus on this summer. This may impact on how strong a defence Spain can put up for the title but you will still expect Spain to be very strong in the 2017 FIBA EuroBasket. Looking at the Futures market suggests that Serbia are a team in with a shout of winning the 2017 FIBA EuroBasket. The Serbians are ranked as second-favourite with Bet365, placing the team with odds of 5.00 to win the tournament. Most people expect Spain to be the side to clinch success in Turkey but there is no doubt that Serbia will believe they can knock the reigning champions off of their perch, and there are some very obvious reasons they believe this. 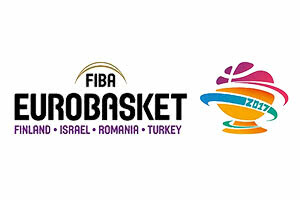 While the final squads are yet to be announced, and we may see some big names sit out in order to focus on their club career, there has to be high hopes that some of the biggest names in European basketball this summer will be involved with this major event. In July alone, two key Serbian players announced that they are off to the NBA for the new season, which means that there will be a great deal of focus and interest on the Serbian side. When you take on board the fact that Milos Teodosic was classed as the best non-NBA player outside of the NBA by NBA coaches, it isn’t really a surprise that the player is heading to the big league in time for the new campaign. The Los Angeles Clippers are the side who grabbed Teodosic which means that he leaves CSKA Moscow and the Euroleague for the biggest show in basketball. It will no doubt be a big step up for the player but with a points per game record of 11.3 (and this includes his first two campaigns which brought about a low return), Milos is a player that makes a difference on the court. With 6 VTB league titles and a Euroleague title, the time is right for the 30 year old to head to the USA and the NBA but hopefully he will be around this summer to have an impact on the 2017 EuroBasket. Another summer Serbian signing comes in the form of Bogdan Bogdanovic who has been captured by the Sacramento Kings. The player heads to the NBA on the back of a highly successful season with Fenerbahce, where he claimed the Turkish League and the Euroleague itself. Bogdanovic is 24 years old and he managed to grab an average of 14.6 points per game, which saw him rank in the All-Euroleague first team while being named the Turkish Finals MVP. The player grabbed a Silver medal in the 2017 Olympics with Serbia, so he knows what it takes to perform at the highest standard in major tournaments and there will be hopes that both of these players will lead the Serbian charge at the EuroBasket 2017 event. The French are third favourites for the 2017 EuroBasket, according to Bet365 who give odds of France at 6.00 to win the title, and there are some big players in the French squad. It seems as though Rodrigue Beaubois will be absent this summer for the French side but there are other players who can dominate a game and make the difference between winning and losing. One such player is Nando De Colo.
De Colo has a Gold medal from the tournament already, winning the 2013 FIBA EuroBasket and he has also played in the NBA. However, it is highly consistent performances for CSKA Moscow in the Euroleague that ensures most basketball fans know all about what Nando De Colo has to offer. This is a player who has won the Euroleague with the Russian side and he has been at the forefront of what the team has to offer. Next season he will play in Moscow without Milos Teodosic, with the Serbian off to the NBA, so this tournament will give De Colo the chance to remind his former team-mate what he will be missing. At third favourites, the French will be keen to grab a medal in Turkey at the end of this tournament but you can guarantee that Nando De Colo will insist on nothing but the very best from his team-mates. While these big summer events are often the ideal chance to see up and coming talent flourish, it can also be a chance for big names to have one final crack at glory. This is definitely the case for Erazem Lorbek of Slovenia. The player has struggled to play in recent games, having been largely absent since 2014, but he has declared himself available for the tournament and if selected in the final roster, he could have a part to play in dragging Slovenia forward. As the tournament nears, Basketball Betting will keep you updated with the latest news and what players to watch, but this should act as an early indicator of who is going to make an impact this summer at the 2017 FIBA EuroBasket.